If skin on your face is aging too quickly or you have imperfections that lower your self-confidence, advanced aesthetics and skin care specialist Waseem Garbia, PA-C can help. 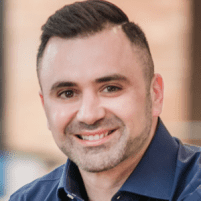 At his office at Dontage, located in Falls Church, Virginia, Waseem uses microneedling to correct facial imperfections that are making you look years older. Call to learn more, or book an appointment online today. Microneedling is a nonsurgical aesthetic procedure that uses tiny needles to penetrate and ultimately rejuvenate the superficial layer of your skin. The procedure causes micro-punctures in your skin, which leads to an increase in collagen production at the affected area. More collagen means the skin thickens and becomes smoother, softer, and more toned over time. Vivace™ is a state-of-the-art aesthetic treatment that combines microneedling with radiofrequency energy to tighten and tone your skin. This helps reduce pore size and oil secretion and minimizes fine lines and wrinkles. What is microneedling used for? The procedure tricks your skin into thinking it’s been wounded, so it heals and produces a smoother texture over several weeks. Most people handle a microneedling session quite well, and you may feel little or no pain at all during the procedure. Waseem uses a numbing cream 30 to 45 minutes before microneedling treatment — so you might feel light pressure to your face, but you shouldn’t feel pain. Redness may occur, but it usually disappears within several hours. There is little to no downtime after the procedure, so you can go about your normal day-to-day activities right away. How many microneedling treatment sessions do I need? To achieve optimal results, Waseem may recommend more than one microneedling session. He might suggest three treatments, spaced 4-6 weeks apart, but everyone’s needs are different, and results may vary. Talk with Waseem to find out if you’re a good candidate for microneedling, as people have unique skin care and aesthetic needs. As with any cosmetic procedure, there are risks involved with microneedling, but these are minimal. Possible side effects are irritation and redness at the treated area. If microneedling isn’t quite right for your needs, Waseem may talk with you about other aesthetic skin rejuvenation options — such as Cryoskin, Botox®, and Kybella®. When you’re ready to take the next step and receive microneedling to take years off the appearance of your skin, call Dontage today or book an appointment online with Waseem.